Newly married, Kat hadn't yet begun to plan for a family when she was suddenly diagnosed with endometrial cancer. Like so many, the surgery that saved her life left her unable to have children. Cancer didn't take my life, but it stole something else from me that is seldom discussed. My oncologist didn't have any pamphlets in his office on how to live when you lose the ability to create life. My doctor cut out my cancer, but with that came the loss of my fertility. He prepared me for the surgery; his nurses advised me regarding healing and incision care, but no one offered advice for the days, weeks, months, and years afterward, when my body has healed but my heart has not. So I have made my own way and forged a path through this uncharted territory. I grieve, frequently. I cry whenever I feel the need. I decline invitations to baby showers. I avoid the baby aisles at department stores. When my nephews and nieces were born, I celebrated publicly and wept privately. I felt like a walking dichotomy: happy for your pregnancy, but devastated for my silenced womb. At times I know I make the people around me uncomfortable, maybe even nervous, but this is undiscovered territory; I have to navigate it in my own way, on my own time. I explored the idea of a support group, but the ones I've found are for couples enduring infertility, or those who have difficulty getting pregnant- not for those who are incapable. I suppose I could start a group myself, but what could I possibly say to make anyone feel better when I'm still struggling to heal? It feels like more desolate landscape, without a map. Most of the time, I do okay. I make the best of life as it comes, and feel grateful to be alive and cancer-free. Most mornings, I do alright. I get up, and head off to class. Most afternoons, I finish my most pressing homework and settle back with a book, whatever title is currently grabbing my interest. Most of the time, I read about a fictional life and I smile and enjoy myself. Most evenings are not like the other evening, when the last pages of the book I was on reopened a place inside of me that is still so raw, even after all this time. I felt exposed and cried my way through the end of the book. I put it aside, making a mental note to never read it again. The problem is- what is read cannot be unread. What is seen on TV or any other screen cannot be unseen. When you step on a landmine and trip the trigger, it can't be undone. And the thing about landmines is that they're hidden, invisible, buried. When you never see them coming, you fail to avoid the triggers. I didn't know the book would end with the main character dying of ovarian cancer as a good friend of hers gave birth in the very same hospital. I didn't know the movie I saw last weekend would expose that one of the key players was unable to have children, and that she was devastated by that fact, crying with both joy and heartache upon learning of her sister's pregnancy. I didn't know, at first, that these things would slice through to my core, reopening a wound that has never healed. What helps me is remembering that I am a survivor. Cancer didn't kill me, nor did I endure the worst of treatment. I didn't lose my hair. Sometimes I even feel a little guilty that my cancer story is not as harrowing as others. But knowing this does not prevent the tide of grief that besieges me at moments I'm least expecting, when a trigger is set off and my heart is suddenly ripped open again. 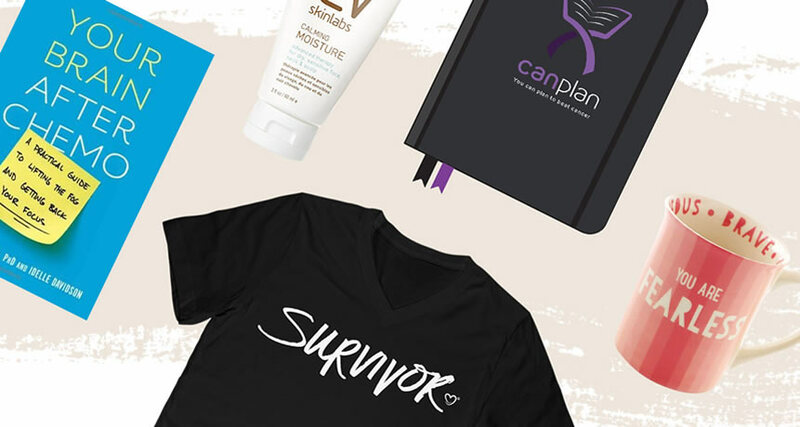 I wear the word "survivor" like a badge of honor, and I approach things with the mentality that surviving cancer has equipped me to survive anything. And even though there are times when I do not feel it, I know I will survive infertility. Even when I unknowingly trip a hidden landmine and spiral into grief, nursing wounds that still feel fresh, I know I will be okay. It's just a new kind of okay, in a different world, where I am steadily cutting a path toward healing, one day and one step at a time. Did you experience infertility as a result of your cancer diagnosis? How did you handle this? Share in the comments below. Kat Creighton is a full time student at Collin College in Plano, Texas, where she is majoring in Education with the dream of becoming an elementary school teacher. She is an eight-year survivor of Endometrial cancer. Her hobbies include writing, reading, and crochet. You can find Kat on IHC under the username KatCreighton.